Will Microsoft's Simple Skype Call Recorder Work For Podcasters? Will Microsoft’s Simple Skype Call Recorder Work For Podcasters? This morning I was delighted to see that an official Skype Call Recorder will be included in their next release. However, researching articles on Gizmodo and TheNextWeb I was hoping to find mention of one crucial feature for podcasters: The ability to download separate audio track files for each speaker on the Skype call. So far I have not found any mention of this, and I’ll update this post when I find out from beta tests or early releases. Why is Skype So Popular With Podcasters? When the podcast host and guests cannot be in the same location, Skype is currently one of the best choices to record a podcast remotely. 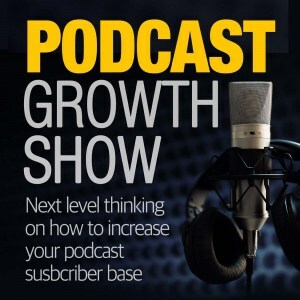 In our experience talking with 100’s of podcasters, the majority of interview format podcasts are recorded using Skype. This is because Skype has a high-quality audio codec called SYLK compared to some of the other solutions out there. 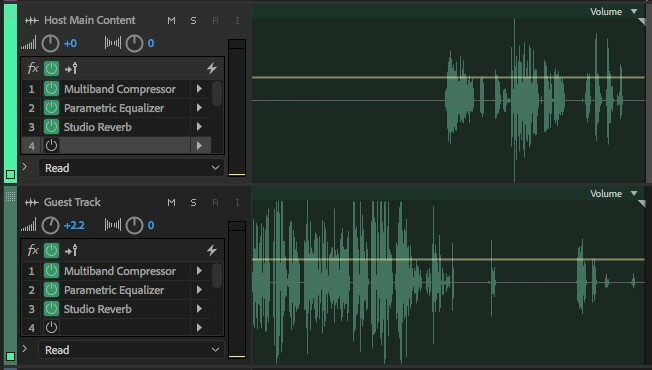 I have often compared Zoom’s recordings with Skype, and find Skype audio to be consistently better. But How Do You Record Calls With The Current Skype Version? Currently, Skype has no call recording built in. So most podcasters use 3rd party Skype Call Recorder Apps to capture Skype audio. For example, we use eCamm’s Skype Call Recorder, which records calls and then downloads the resulting audio file into a DropBox location we and our clients share. 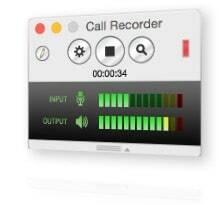 The call recorder is simple to use and makes recording podcast interviews easy with a “one button click” approach. 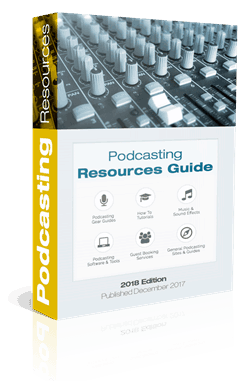 This works really well for our “podcast done for you” clients, who just want to focus on recording instead of on technical details or on podcast production techniques. 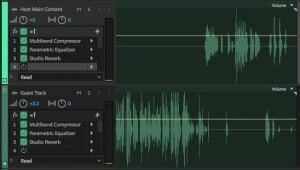 But, as podcast producers, we are content strategy quality focused, and the real reason we love the call recorder software is that it allows us to split the guest and the host track, and I cannot overstate how important this feature is. 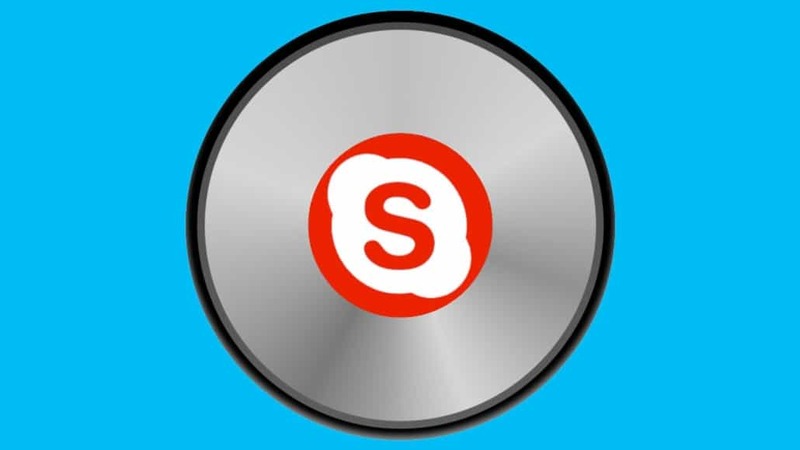 Why Are Separate Tracks Important in a Skype Call Recorder? Most of the time, when remote interviews take place, the podcast host and guests are in completely different environments, using different microphones, and speak at different volumes. Being able to split the Skype recording into separate tracks for hosts and guests is, therefore, a god-sent because it allows us to process each track separately. Most importantly, we match the host and guest track volume. It’s an exhausting listening experience of the host and guest are speaking at audibly different volumes. We also apply separate noise reduction settings for the host and the guest track. This is important because otherwise, noise on either the host or the guest’s recordings would affect the entire recording. This way we can reduce noise profile separately, and this results in much better sound quality. We can match the “roominess” of each track. This is done with reverb settings, which manipulate about how “roomy” each track sounds. For example, if your guest is recording in a hallway or bathroom or with a condenser microphone, this will result in audible “roominess” in the final recording. Again, it’s exhausting when one speaker sounds like they are in a hallway, and the other speaker sounds like they are inside your ear. Our goal is to make it sound like they are having a conversation in a compatible environment, and so the approach is to add a bit of “reverb” to the drier of the 2 tracks. But this is only possible when separate tracks are available in the first place. There are other settings we use to warm up vocals, add compression and make them pleasant to listen to, and for all of these extra settings, it is crucial to have separate tracks. Stay tuned: I’m sure the news that Skype is rolling out built-in recording features is alarming for companies like eCamm and others offering Skype recording solutions. But unless Skype includes the ability to record separate tracks, we will be forced to continue using 3rd party apps. 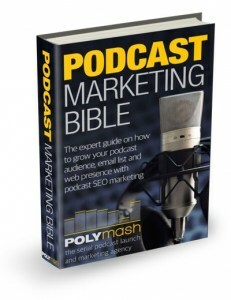 PS, Are there Skype Alternatives for Podcasting? As far as trying to achieve high-quality recordings, there are some alternatives apart from Skype: For example, the app and service called Ringr – which has better audio quality than Skype because it records the guest track directly on their computer hardware or mobile app, and then automatically sends the saved guest track to the podcast host. However, for most people, Skype quality is “good enough”. https://polymash.com/wp-content/uploads/2018/07/uvkzqsqnesva8ig6orfv.jpg 900 1600 Juergen Berkessel https://polymash.com/wp-content/uploads/2018/12/Polymash-Logo-340-300x48.png Juergen Berkessel2018-07-18 12:43:452018-07-24 12:19:17Will Microsoft's Simple Skype Call Recorder Work For Podcasters? This is very helpful information about future possibilities. However, I found more valuable the way you have described the importance of recording on two separate tracks. Thank you. 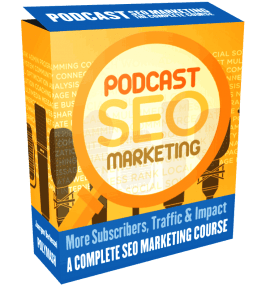 The step by step guide to practical Podcast marketing techniques to build your listener base and gain traffic for your show organically. How You Can Help: If you like this content, please take a minute to leave us a review on iTunes. I REALLY appreciate it!